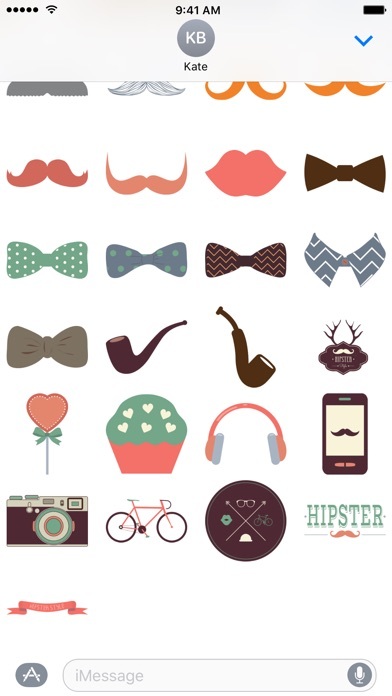 The ultimate hipster sticker pack has a sticker for that special hipster in your life. 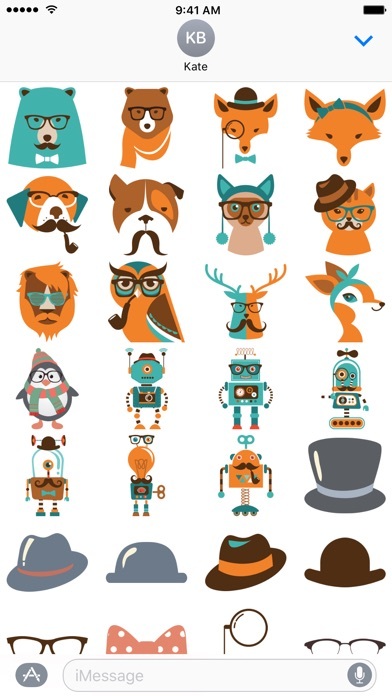 We've got hipster dogs, cats, lions and even robots. 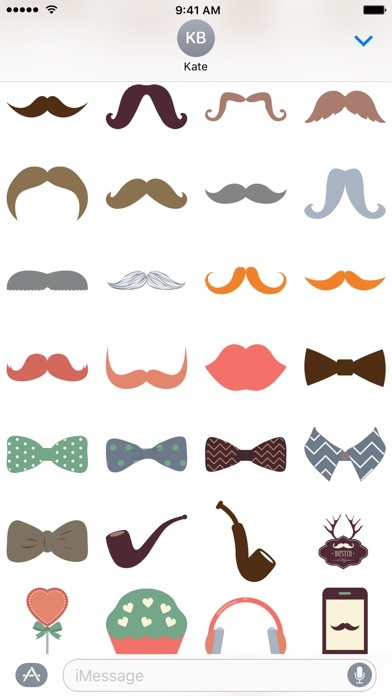 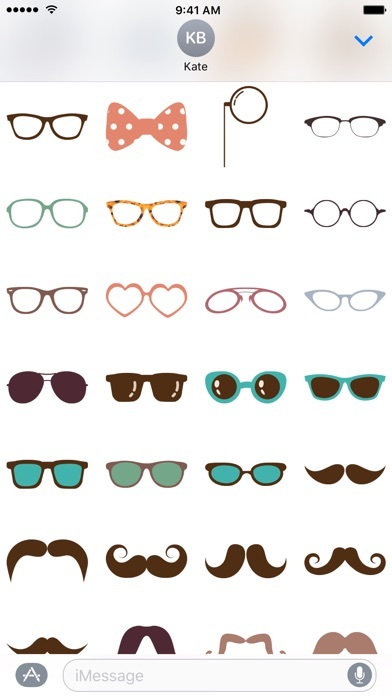 Hipsterize any existing photo or iMessage with our collection of hats, glasses, mustaches, and accessories.